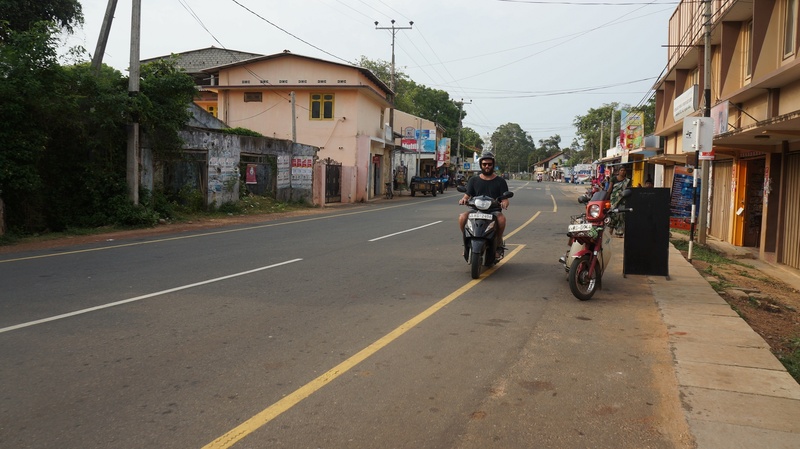 You might say, despite being given first hand local advice in Kandy, we took the awkward-est possible route around Sri Lanka. 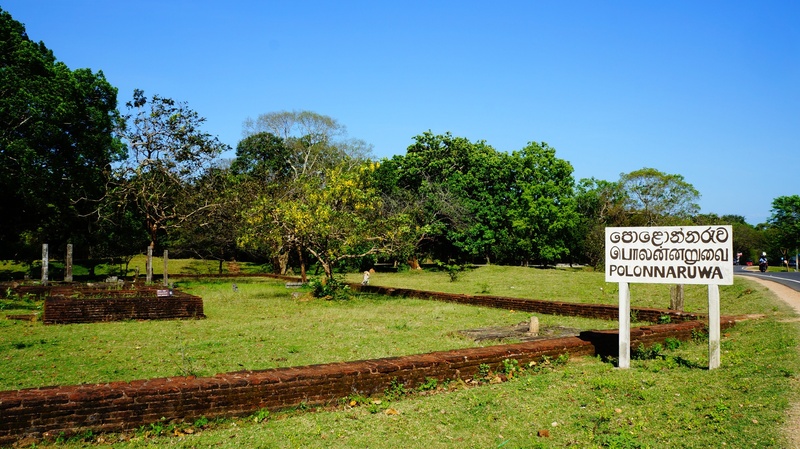 So awkward that it seemed easier to take a private van from Ella to Polonnaruwa. Maybe we were feeling a bit rich that day or maybe it just seemed cheaper because we had Mike and Vic to split the cost with – either way, it was a treat to not have to take a local bus. We got dropped at the ‘Top Pick’ of guesthouses from our Lonely Planet and negotiated a rate for two rooms. It’s fair to say the Samudra Guest House has had it’s day. I didn’t see any smiling owner or rambling old charm as per the guide books description- it was more dead bed bugs and rat droppings. Ah, but what’s one night? It’s all part of it. 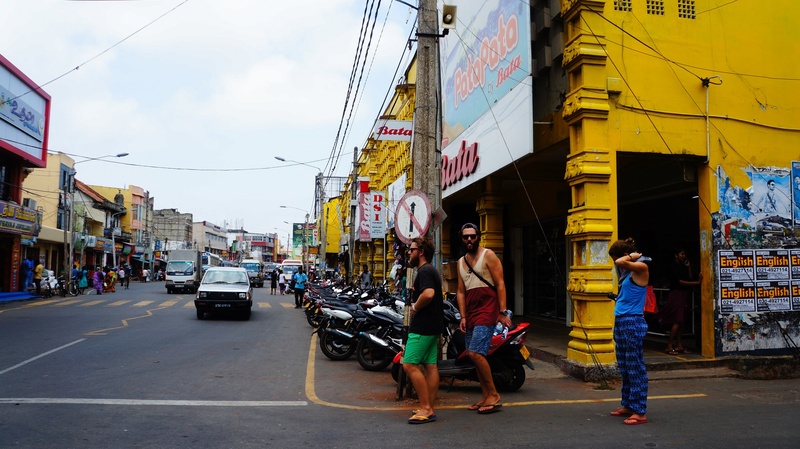 Hiring bikes and making our way to the visitors centre, we quickly realised that perhaps this town wasn’t for us. 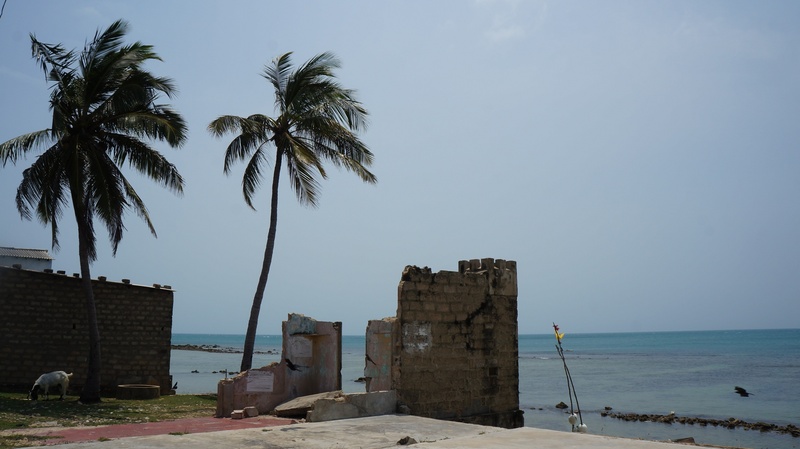 There was a $30 USD charge to visit the ruins which the town is known for so after quick pow-wow, we decided that no one was that keen to see ruins let alone pay $30 for the pleasure. As much as we’d like to, we can’t do everything, everywhere we go. Not letting this dampen our spirits, we conducted our own tour of the ruins that we can see for free. We all agree that Angkor Wat in Cambodia is going to blow Mike & Vic’s mind when they visit there in a few months time. Anyhoo, I think we had a more interesting time riding the back streets than if we had paid to visit the ruins. Seeing local houses, some boys get their kites stuck in the power lines, watching the ladies with their hair down to the back of their knees bathe in the stream (apparently they keep they hair long so it looks like the flowing stream they bathe in), riding past rice paddies, riding round a roundabout time and time again to make the bus of locals laugh – I mean this is good stuff that we can’t pay to experience right? On our way home from the bike ride two things got me. One: We saw a dog on the side of the road that had half its hind leg missing and the bone was poking out. He appeared to be okay but it was quite confronting. Two: The disparity between rich and poor is perhaps more obvious and visible than in New Zealand. There were lots of HUGE, very lovely looking houses where we were biking – how is it that a family can live in there and another family bathes and does their washing in the stream right outside the mansion? Something to think about. 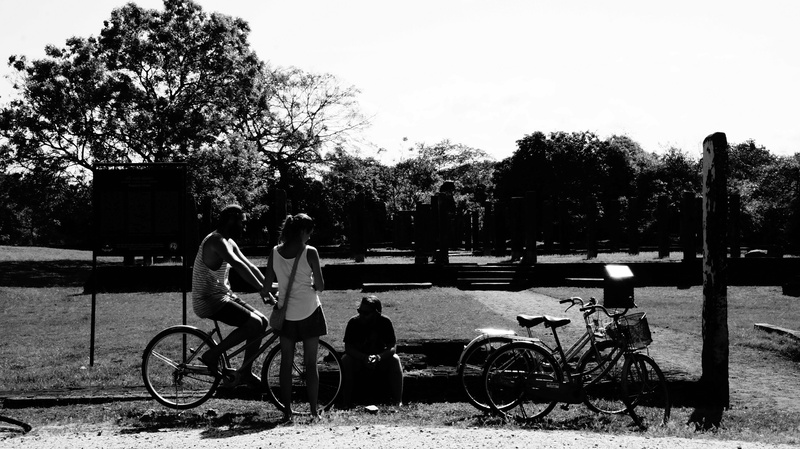 One day in Polonnaruwa – enough for us. Bright and early the next morning we caught the bus Polonnaruwa – Anuradhapura. It’s a five or so hour journey where the driver fangs it around corners like a crazy-beast-man and it only cost $1.40 NZD each. Flag your Gold Coast theme park holiday, come take a ride with a Sri Lankan bus driver. 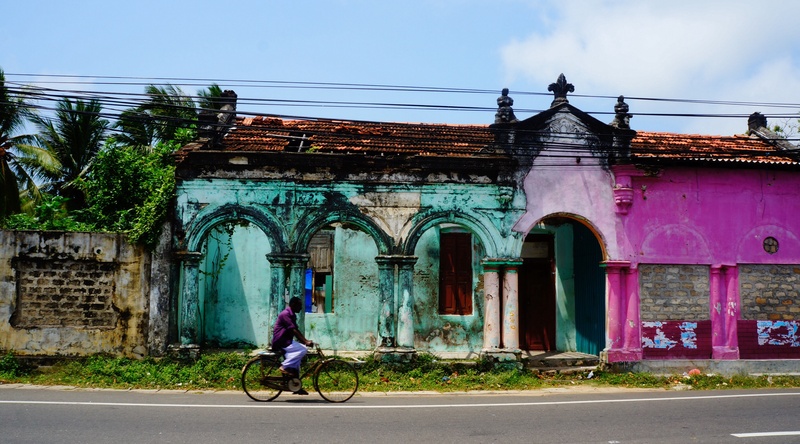 Anuradhapura is another town full of history and ruins – we thought we’d give it a crack. WELL! 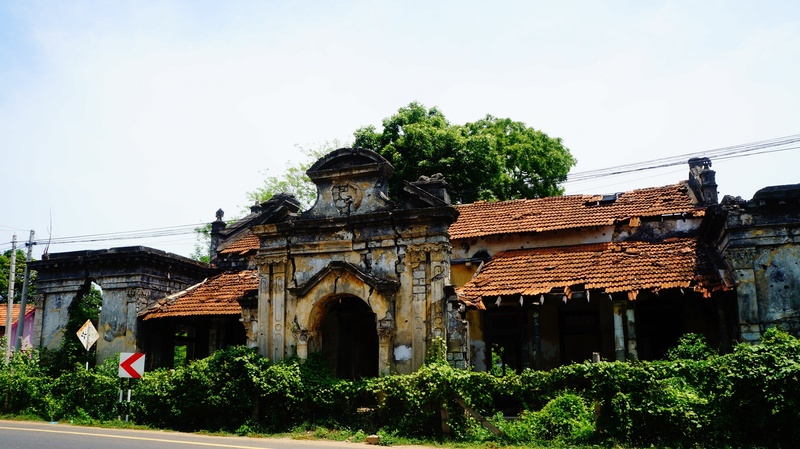 I can tell you we were out of there before you could even master the pronunciation of the towns name – Anuradhapura. Anuradha-a-what? We’d heard that touts often get on buses or train, spot tourists and then get off at their stop to try and get business, and this is exactly what happened to us. Most touts, in my experience are fine if you’re friendly and polite. This man was horrid. I don’t mind someone getting a little bit shouty at me, I can take that, but he told us we were terrible people and not welcome in his country. I think I’m a nice-ish person and I kind of took this to heart. It was really unfair. I try hard to be considerate and respectful of locals – so what he was saying, that we were awful – well, I just couldn’t believe it. Especially to him. Yes, we’d declined his offer of help, but we’d done so politely. We could have argued and said mean things but instead we put our packs on and started to walk away. He followed us for a while before giving up. We just so happened to come across an air conditioned cafe. WHAT LUXURY. Perfect timing Sri Lanka, I was getting down on you for a moment there. We ate and ate until we were pooped – and when we went to pay – it came to a grand total of 1165 LRK – that’s $11.65 NZD. 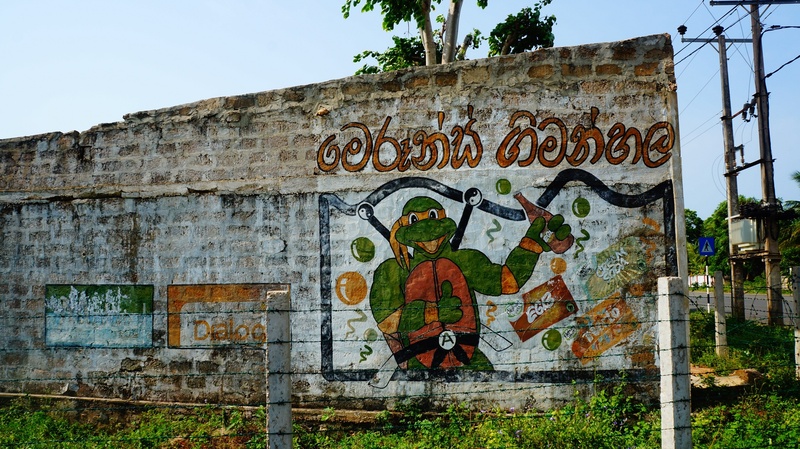 Anuradhapura you just made up for your unkind tout man. 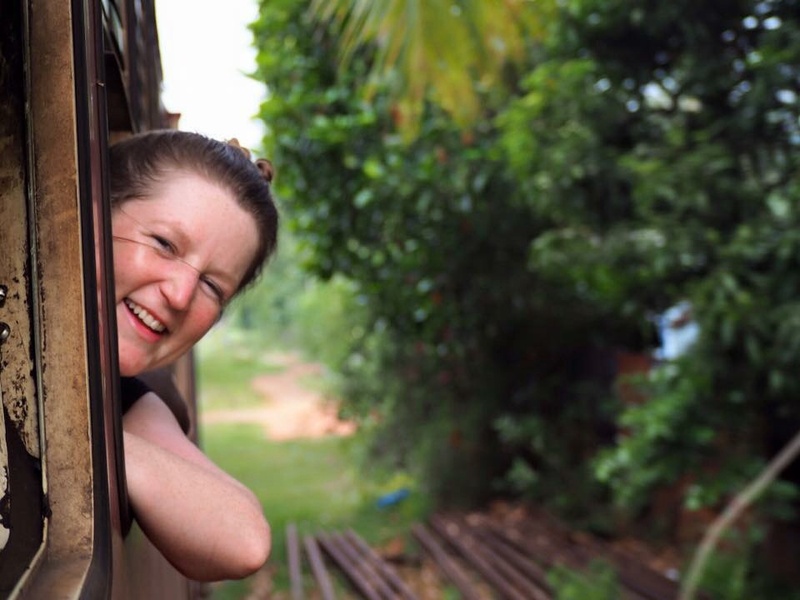 We decided over lunch that perhaps Anuradhapura wasn’t for us and we hightailed it to the train station where who should be asleep on the benches…. MR TOUT MAN! 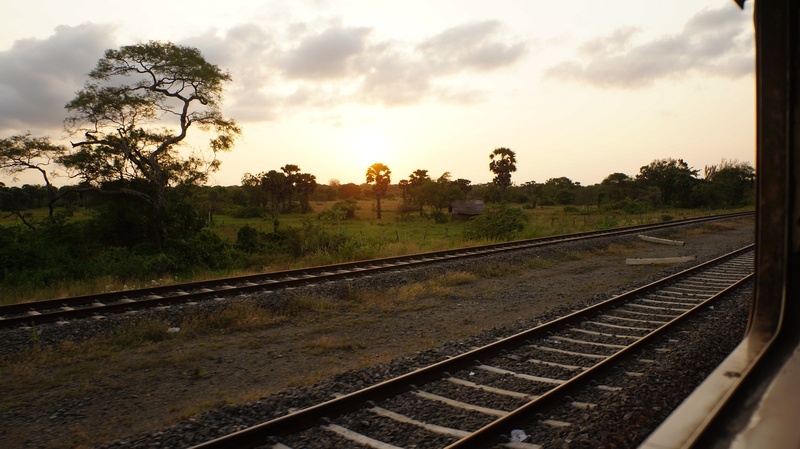 We distanced ourselves and waited for our train to Jaffna. 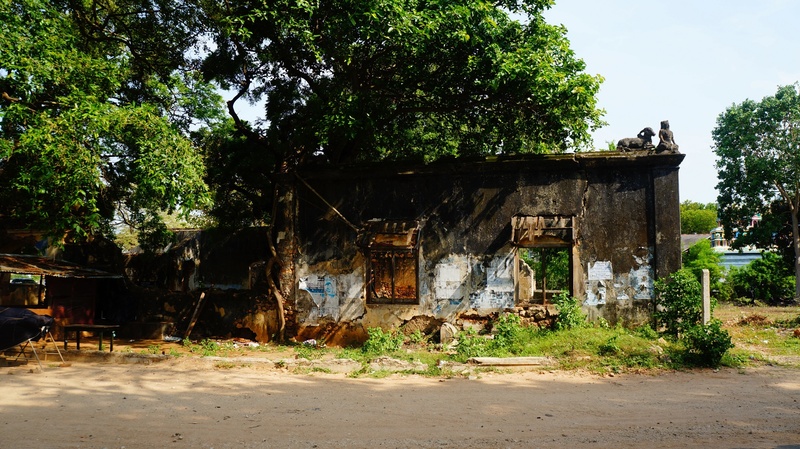 Jaffna and the north of Sri Lanka was devastated by civil war for 20 years and in 2004 was hit by the 26 December tsunami. 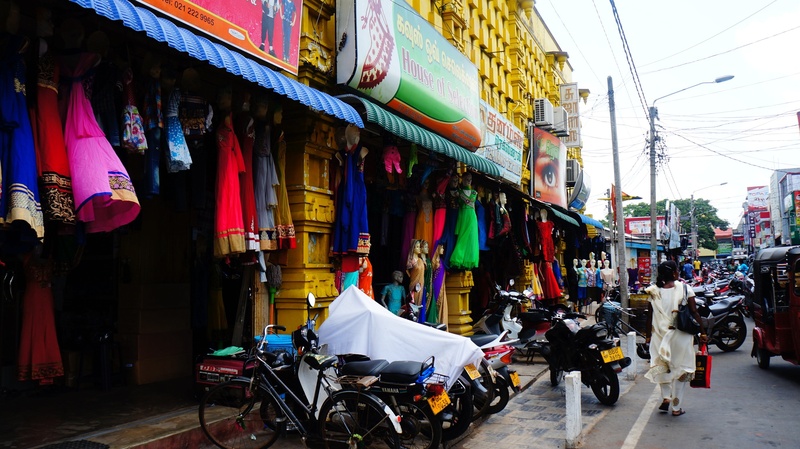 We were told that there is currently around one military personnel for every three civilians, so it maybe comes as no surprise that Jaffa and the north of Sri Lanka was only reopened to tourists in January 2015, only five months before our visit. The train ride was fast and smooth. As the old tracks had been destroyed by the war, we were in a near new train and new train tracks. We whizzed past green fields, wetlands, elephants, peacocks and the sea as the sun set. When we got up for a wander the next morning it was easy to spot evidence of war. 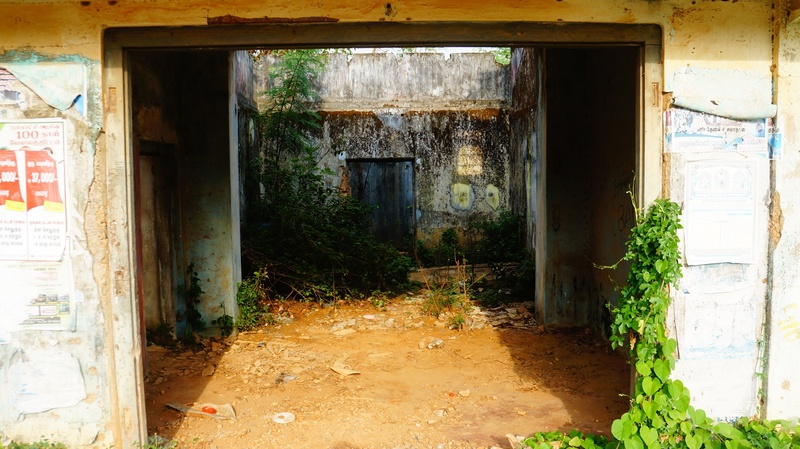 Buildings and walls were peppered with bullet holes and it felt like every other building was abandoned. It was a bit strange – almost devastatingly beautiful. In the city centre there were a few main streets of hustle and bustle. With the odd cow thrown in for good measure. But in the outer streets it was difficult to tell sometimes which houses were inhabited and which were not. Lots of places had grand gates closed out the front. And the churches still stood proud and untouched or at least rebuilt. 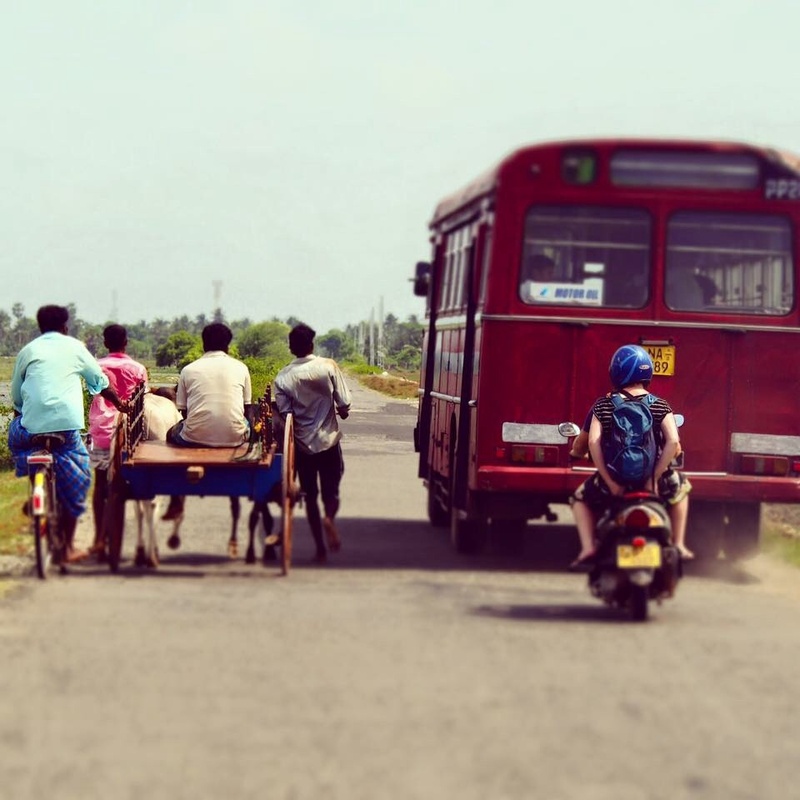 People riding past on bicycles would do a double take at us and whole bus loads of locals would stare out of interest. We really did stick out. 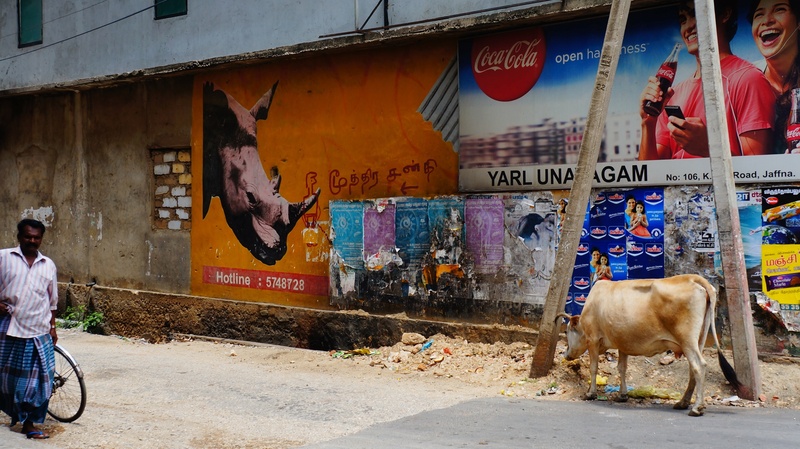 In fact, I only saw one other western tourist during our time in Jaffna. 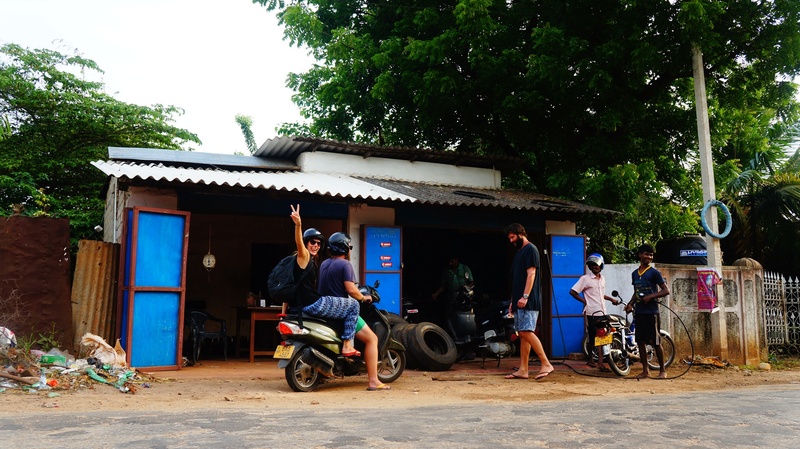 We went into a small road side restaurant for lunch and the men running the place seemed stoked to have us there. They cranked the music up loud and were laughing and talking amongst themselves. 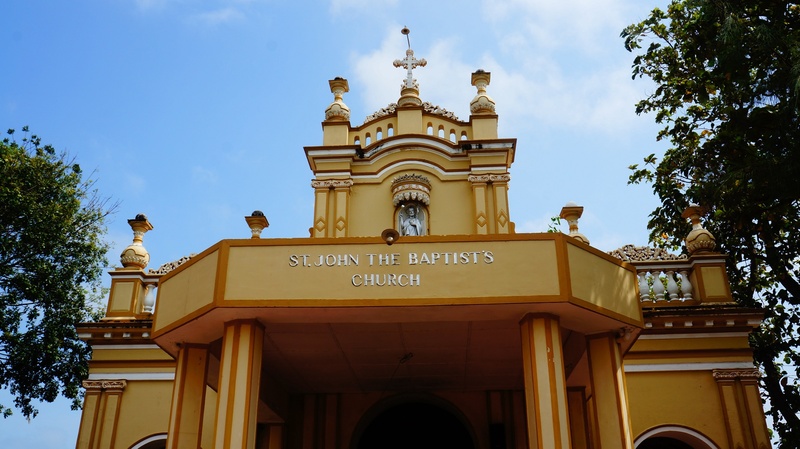 Although their English was limited and our Sri Lankan non-existent, they managed to lay on a feat of curry, fried rice, chicken that rivalled KFC, sweet tea and plateful after plateful of popadoms. We went back for more the next day. We weren’t allowed to take any photos of the military, but their presence was obvious and definitely felt. From huge tanks packed with soldiers rolling down the street, to a barrel of gun poking out from a small rectangle in a wall, to soldiers guarding the entrances and exits to certain buildings. All of the soldiers we encountered and spoke with were extremely friendly. 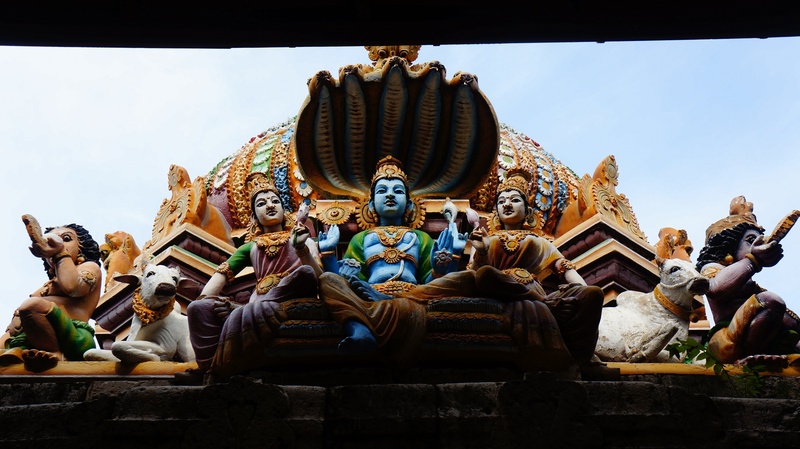 They wanted to know where we came from and why we were in Jaffna, where we were going and then they’d often offer a bit of advice of what to see and do. They were also very happy to answer any questions we had about the military, what was going on and what they were doing. 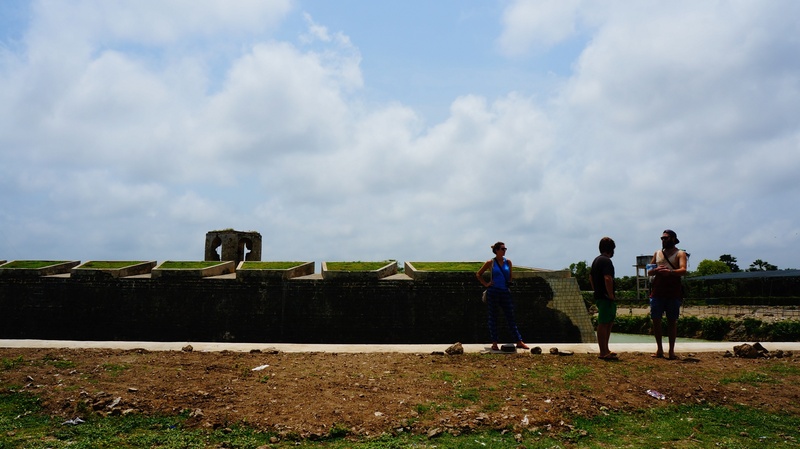 Down by the seaside the Jaffna Fort was still being rebuilt. It was just near the fort that we saw a dead dog. It was all black and charred with it’s little legs poking up in the air. It looked like it had be burned alive. It. Was. Horrific. Vic and I at this point both agreed that compared to any of the countries we’d been to, Sri Lanka had the saddest looking dogs of all. We also noticed the branding on cows. The markings were huge and looked like they had be cut it with a knife. 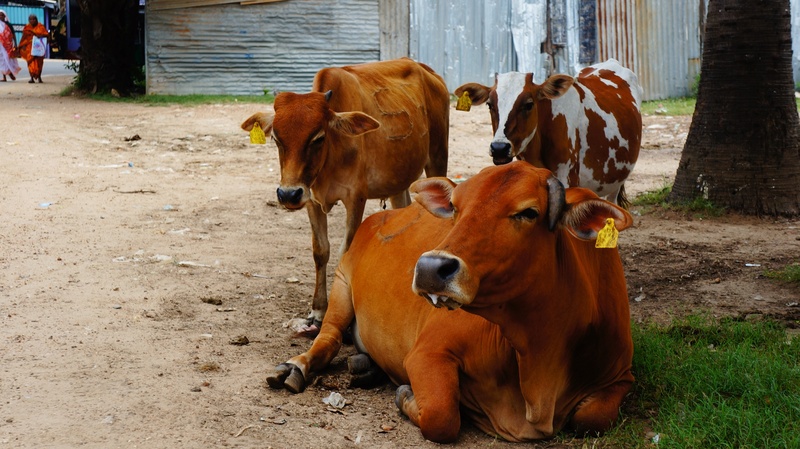 There were some cows walking around with big open cuts over their sides and tummies. Too much. Too much. 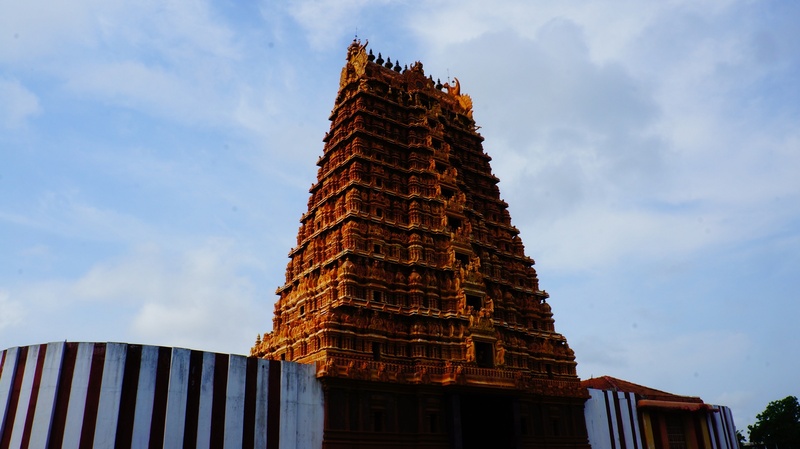 In the afternoon we visited a Hindu temple and listened to prayer and the furious ringing of the bell, waking the Gods to make sure their prayers are heard. 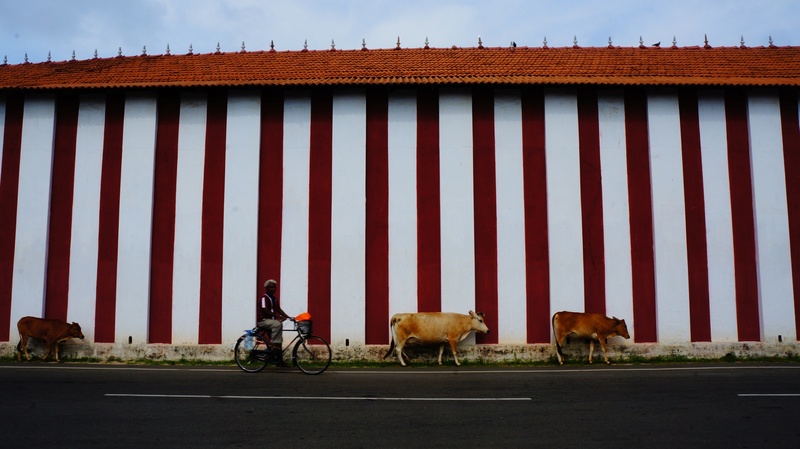 On our second day in Jaffna we hired two scooters and ventured up into the northern most point of Sri Lanka, Point Pedro. Our day was not without it’s excitement! Mike and Vic’s scooter managed to get three tyre punctures. Three. The first happened maybe 30 minutes out of Jaffna. 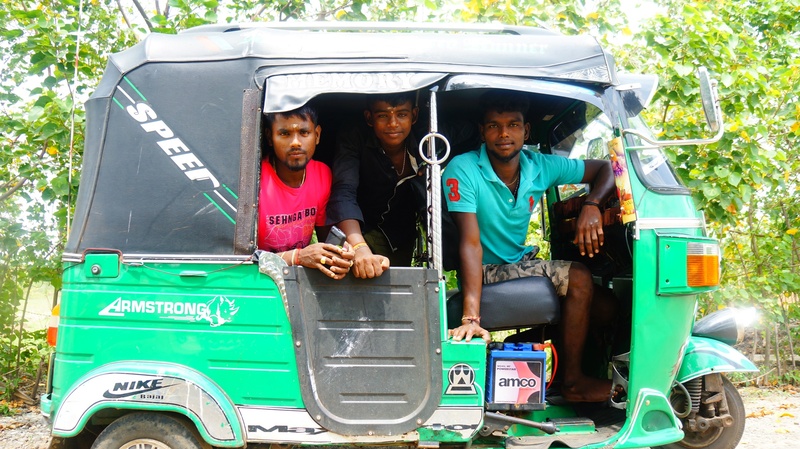 The boys went to the nearest fix it shop while Vic and I waited on a small side road and gained a lot of attention from everyone who passed by. Point Pedro itself was like a ghost town. Hit hard by the tsunami, it felt eerie but beautiful with only a few local fisherman going about their business and the odd military checkpoint with guns at the ready. From Point Pedro we travelled north west in search of the Keerimilai natural cool springs we’d read about. Local legend has it that a princess was cured of her horse shaped face after bathing in the spring. Get me there quick! On the way to the springs we managed to get suitably lost and mixed up in what seemed to be a military camp right next to the no go land that they were still searching for land mines. Oops. We got out of there pretty quickly. We eventually made it to the springs with a few site seeing stops along the way. Only to return to find the scooter had yet another puncture. Here’s Mike going super slow with his sad tyre. And Michael with Vic after a bit of ferrying around with all this puncture business. 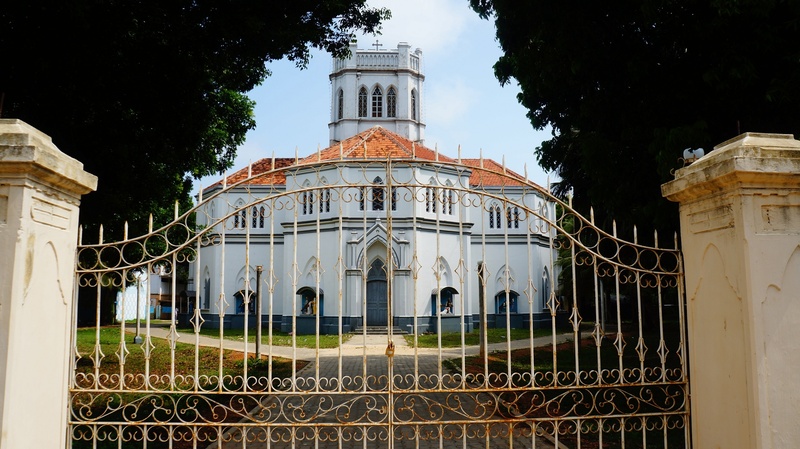 All in all, I’m so pleased we made the trip up north to Jaffna. What a contrast to Nuwara Eliya and Ella. How can this even be the same country?